Most BMW M5 owners do not mind leaving their already nigh-perfect car in its stock condition. Most of those who aspire to greater heights find happiness with M Performance parts. So what do single-marque tuners, like Alpina, even exist for? Well, there are two main reasons. First, aftermarket companies often end up with better quality-to-price ratio than original manufacturers do. Take this Alpina B5 sedan, for example. Initially built with a more affordable BMW M550i at base, it sports engine performance superior to that of the range-topping M5. Namely, it churns out 608 hp / 453 kW with 800 Nm / 590 lbft of torque, while the M5 only produces 600 hp / 447 kW and 750 Nm / 553 lbft. The Alpina B5 can also hit 330 km/h (205 mph) going in a straight line, whereas the M5 can do 305 km/h (190 mph) at most. 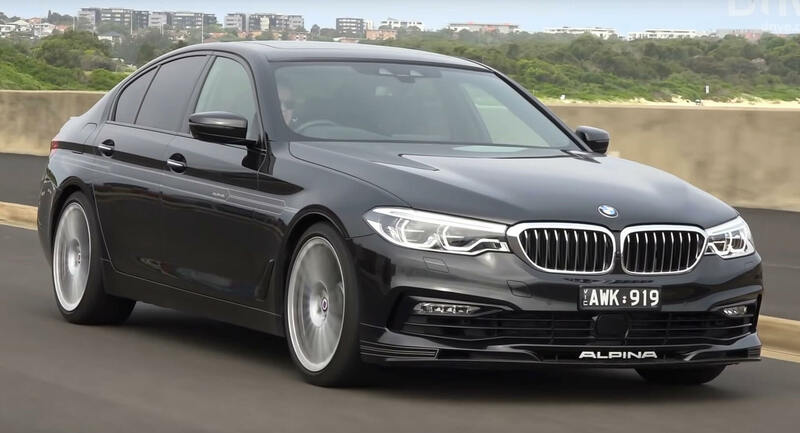 Second, the Alpina version of the Bavarian vehicle sports carefully tuned chassis and in particular shock absorption, making it the vehicle of choice for everyday use. The car you can see here is currently available in Australia for the rough equivalent of U.S. $150,000.